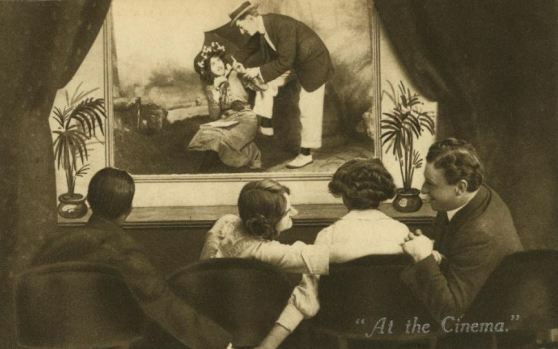 Comments: Romantic confusion or subterfuge among audience members was a common subject for comic postcards of the early cinema period, as was the correlation between romantic behaviour on the screen and among those watching (or not watching) it. 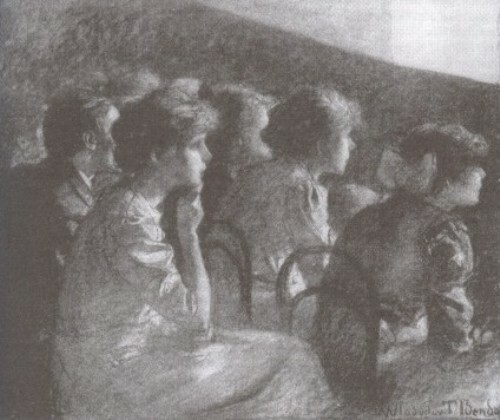 This entry was posted in 1910s, Postcards, United Kingdom and tagged Audiences, Screens, Seating. Bookmark the permalink.